Summary and Definition: The Coast Salish were great fishers and hunters who were located along the 1500 mile Northwest Pacific coast. The term "Coast Salish" was coined by linguists to refer to one branch of the vast Salishan language family. The Coast Salish-speaking groups included the Bella Coola, Tillamook, Duwamish, Chehalis, Samish and Suquamish. The Coast Salish engaged in fishing and hunted various marine animals, whereas Salish speaking people who lived in inland regions fished in rivers and streams and hunted game. The Coast Salish society was complex, hierarchical and based on property and status which were displayed in their famous Potlatch ceremonies. Coast Salish was the name given to various groups of Salish-speaking people who inhabited areas of the Northwest Pacific coast. The Coast Salish people were organized into settlements and communities, rather than tribes. The Coast Salish people were culturally similar to the Chinook. Many of the Northwest Native Indians, such as the Chinook re-shaped their heads according to the customs and traditions of their people. This drastic change in their appearance led to the nickname of 'Flatheads'. Because of their many similarities to the Chinook lifestyle, the Coast Salish speaking people were referred to as Flatheads, although most did not adopt this custom. It is believed they acquired this nickname because of their flat-topped tonsure. 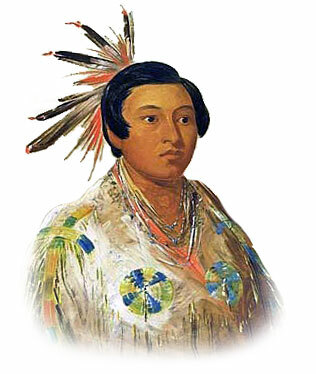 The Salish (Flatheads) lived a distance from the coast between the Cascade Mountains and Rocky Mountains. What was the lifestyle and culture of the Coast Salish tribe? The Coast Salish lived off the produce from the rivers and the Pacific Ocean and constructed their plankhouses and dugout canoes from the abundant Red Cedar trees. Many items of their clothing were also made from the bark of the cedar trees. The Coast Salish people referred to the Red Cedar as “the tree of life” because it provided materials to enable them to build their canoes, plankhouses, clothing, tools, weapons and basketry. Where did the Coast Salish live? The Coast Salish are people of the Northwest Coast cultural group. The Northwest Coast cultural area consists primarily of the coastal areas of Washington, Oregon, Southeast Alaska and British Columbia. The area also includes many islands, the most important being the Queen Charlotte Islands and Vancouver Island. It has been described as a cultural area that is 1,500 miles long and no more than 50 miles wide. The geography of the region in which they lived dictated the lifestyle and culture of the Coast Salish tribe. 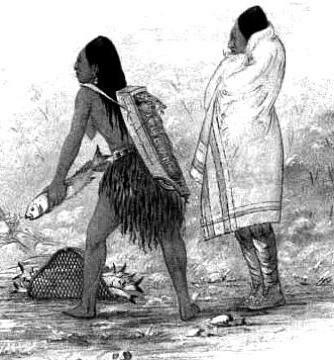 The Coast Salish people were great fish hunters and fish eaters. 'First Foods ceremonies' were great feasts when the Coast Salish celebrated their respect for the earth that provided the people with gifts of food, shelter, clothing and medicine. Their rituals and ceremonies honored traditional foods such as salmon, clams and elk. One of the most important Coast Salish customs was to celebrate the 'First Salmon feast' which honored the salmon. At the conclusion of the First Salmon feast, the bones of the salmon were returned to the water. This shows the salmon was well treated and it would be welcomed the following year. One of the most common customs of the Coast Salish people was the potlatch which enabled the host to acquire or maintain prestige. The Potlatch ceremony involved dancing and gift-giving. The dancers often wore animal masks and decorated themselves with paint and feathers. For additional facts and information refer to the Potlatch Ceremony.